At Innovate! and Celebrate 2016, Naveen Jain sat down with Frank Gruber and discussed everything from the future of innovation to lunar exploration. As the founder and chairman of Moon Express, the first private company given permission to travel to the Moon, Jain has championed the value of traveling to the Moon for resources, knowledge, and, let’s be honest, fun. Well now, after raising the funds to pull it off, it’s official: Moon Express is going to the Moon. Sure, they still need to develop the technology and actually travel to the Moon, but the hard part is over. Moon Express raised a $20 million Series B-1 round, bringing their overall total to a whopping $45 million, more than enough to travel beyond our atmosphere. The private investments came from individuals and venture funds including Founders Fund, Collaborative Fund, and Social Capital. The funding will be used to fund company operations, develop and test the necessary technology, and cover the sizable launch costs involved in traveling to the Moon. 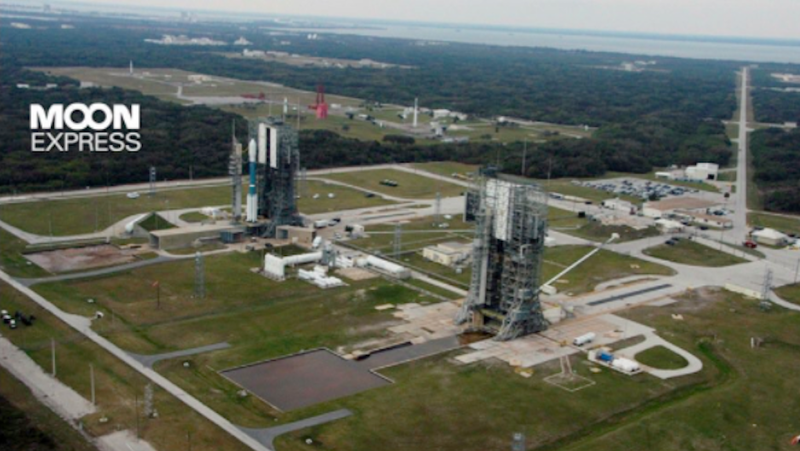 Moon Express has even begun preparing Space Launch Complexes 17 and 18 at Cape Canaveral for their project, the launch locations for many rockets and missiles in the past. LC-17 & 18 is our new home where we develop & test our spacecraft. Initial launch is from NZ with @RocketLabUSA. The Moon Express project is part of the Google Lunar X-Prize competition, a global contest to spur lunar attention in private companies around the world. The competition offers a $20 million dollar first prize (along with a $5 million second prize) to the first (and second) company that can soft-land on the Moon, travel 500 meters across its surface, and transmit high-definition video and images back to Earth. Moon Express, along with their competitors, must make the trip by the end of 2017 to be eligible for the prize. Moon Express has partnered with newcomer Rocket Labs to help them build the rockets needed to make the journey. While Rocket Labs has not launched their innovative electron rocket yet, Moon Express is confident the technology will be more than adequate in getting them to the Moon. Naveen Jain has explained that the competition is not their primary goal. The goal is to make a business out of going to the Moon. With plenty of viable resources and more than enough to learn from lunar exploration, Jain and his company believe that going to the Moon is more than just a way to make money; it’s a way to better the world. If you’d like to see Naveen Jain’s fireside chat at Innovate! and Celebrate 2016, feel free to check out the video below. The conversation is nothing short of inspiring and might even spur you to take on your own innovative exploration.